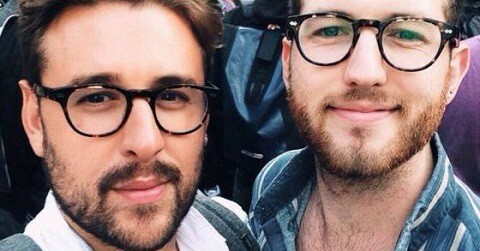 This Monday, a security guard at a Sainsbury’s store in East London told a man in the store that holding hands with his same gender partner was “inappropriate”. This isn’t the first time this has happened: in a Brighton Sainsbury’s just a couple of years ago, a security guard did the same thing: telling two women that kissing was “inappropriate” too. Back then, the Supermarket chain promised us they’d sort out their training to ensure this could never happen again. Guess what? It has. Last time thousands of people descended on the Sainsbury’s branch for big (consensual) kiss, puckering up in the aisles in an act of defiance. showing affection to someone, whatever their gender or sexuality, is something to be celebrated. In a year that’s seen attacks all too often on the LGBT community, it’s high time that Sainsbury’s – with profits over £500 million this year – put their money where their mouths are and use their resources to ensure that homophobia becomes a thing of the past. a £10 voucher just doesn’t cut it. The blokes who were told off in the store will be coming down to join us and saying a few words, and there’ll be a drag queen on a mic to keep eveything orderly. If you have nobody to kiss then just ask ppl nicely for their consent to kiss and if they say yes then kiss them but if they say no then you should ask someone else. Come down to Sainsburys at 6:30pm this Saturday: hold hands, pucker up, and tell Sainsbury’s enough is enough. oh, and invite ppl. The Sainsbury’s is at 238-244 Hackney Road if you happen to be in London tomorrow at 6:30 pm.